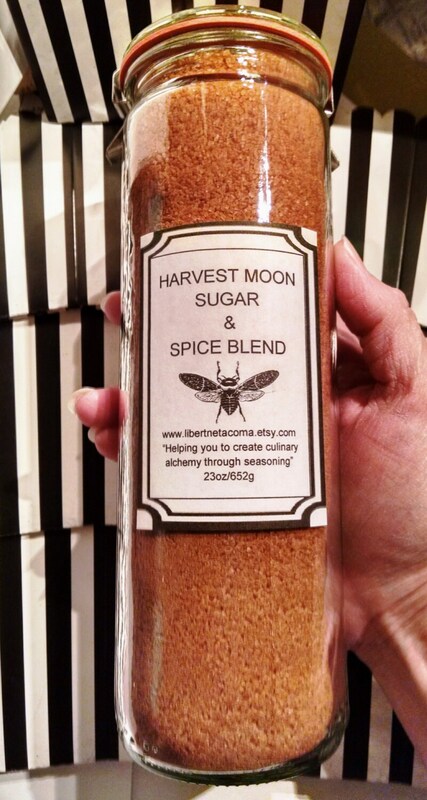 “Harvest Moon Sugar & Spice Blend” is a delicious blend of classic spices, Ceylon cinnamon, Cardamom seeds (ground), Nutmeg, Cloves, Allspice & Tahitian Vanilla Bean (ground) and Demerara raw cane sugar. It is perfect for blending into hot drinks, hot cereal, sprinkling on top of cupcakes and using in your favorite recipes that you want to add some spice and sweetness to. 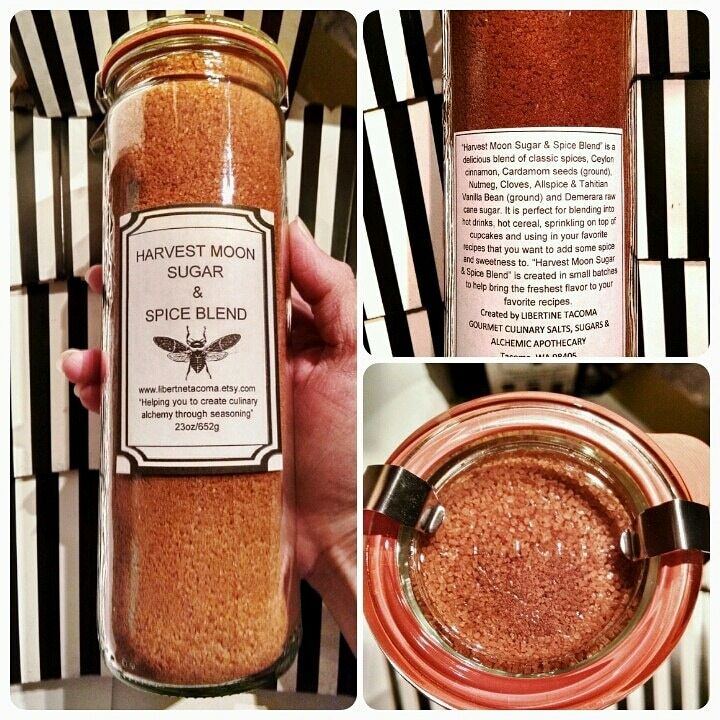 “Harvest Moon Sugar & Spice Blend” is created in small batches to help bring the freshest flavor to your favorite recipes. Smells and taste delicious! Prepared in small batches to ensure freshness and the best flavor. 1 liter, 8.25"H x 3.75"D.
5 oz, 3 1/8"H x 2.25"D.